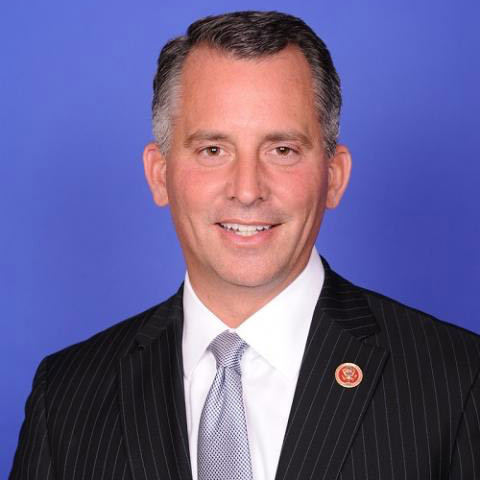 Meet Congressman David Jolly (R-FL), the latest elected representative keen to demonstrate his lack of understanding on encryption and security. Mr. Jolly announced Thursday that he introduced a bill to the U.S. House of Representatives titled "No Taxpayer Support for Apple Act." This is an order to cooperate in preventing the deletion of evidence on a single phone of a terrorist murderer who pledged allegiance to ISIS – nothing more. According to the FBI Director, this phone likely contains communications preceding the terrorist attack, including potential calls and messages with fellow terrorists with whom he coordinated. It also would allow law enforcement visibility into the killer’s activity for a period of 18 minutes following the attack that the FBI is currently unable to piece together. Who did the terrorist talk to? Who did he message with? Did he go to a safe house? Is there information on the phone that might prevent a future attack on U.S. soil? Following the horrific events of September 11, 2001, every citizen and every company was willing to do whatever it took to side with law enforcement and defeat terror. It’s time Apple shows that same conviction to further protect our nation today. In other words, Mr. Jolly can't see past this one act of terrorism, and doesn't understand that what the FBI has asked for will effect everyone, everywhere far beyond the scope of this case. That if Apple were to create the tools the FBI has demanded, that it will inevitably become a backdoor available to everyone. That if the government can demand these tools be created once, it can demand it again and again. That if the U.S. opens this back door, every authoritarian regime and tin-plated dictator with delusions of godhood will swiftly demand the same. That if the FBI wins this, all of us on can kiss privacy and security on our smartphones goodbye, while criminals, terrorists, and despots remain safe and secure with third party encrypted platforms denied to us. That's a long list of things Mr. Jolly doesn't understand, but the most ironic aspect of this bill is that Mr. Jolly would deny our own government devices they themselves need to keep their mobile data safe from the bad guys. Hopefully Mr. Jolly takes the time to educate himself on the bigger picture. It's just too bad he already introduced this bill.